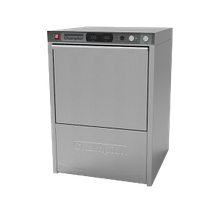 Commercial Undercounter Dishwasher | Singer Equipment Co. 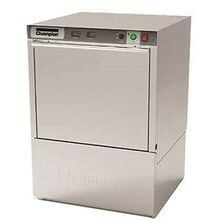 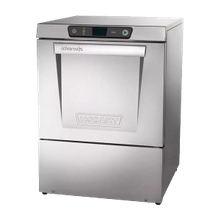 Commonly found in front-of-the-house, undercounter dishmachines are a cost effective way to aid in the cleaning process. 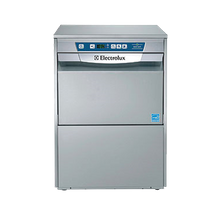 There are two options when choosing an undercounter dishmachine high-temperature and low-temperature. 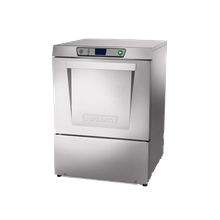 High-temperature units, the most popular choice among foodservice operators, use hotter water for both the wash and rinse cycle. 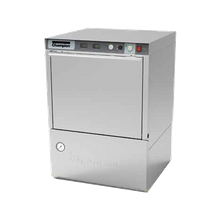 The other option is a low-temperature unit which utilizes cooler water temperature water along with chemicals to sanitize wares. 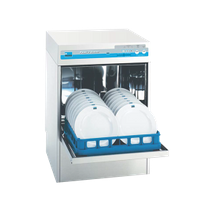 Undercounter dishmachines have a rack capacities varying from 20 racks per hour to 40 racks per hour and are made of stainless steel.